The Irish Open Golf Championship returns to Carton House this week after last being played there back in 2006 when it was won on that occasions by Denmark’s Thomas Bjorn. 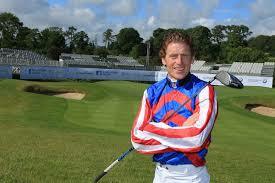 It also returns to the Montgomerie Course, having initially been pencilled in for the O’Meara Course at Carton. A field of the very best Irish golfers, from North and South, along with some of the top European stars will fight it out over 4 days for what is still one of the most coveted titles in European golf – Padraig Harrington considers it his “Fifth Major” so that just shows the grá he has for the tournament. There have been 2 Irish winners since the last Irish Open was hosted at Carton, Harrington and Lowry while he was still an amateur, and a large home crowd are hoping again to cheer on an Irish champion! Golf Ireland have been putting in a lot of work behind the scenes, and much credit should go to them for this. I particularly like their grandstand on 17, where I’m sure the Irish crowd will be looking to rival a similar, but much larger, amphitheatre at the PGA Tour stop at Phoenix. The the craic should be mighty at 17 over the 4 days of the tournament though…..they don’t get that in the States! Fans can reserve their seat for the 17th hole grandstand for just €10 per day, ensuring that in the year of The Irish Gathering they are part of this exhilarating crowd experience. Big screens will also be erected at the 17th hole allowing spectators to watch all of the action from elsewhere on the course. Anyone who has already purchased reserved seating for the 18th green grandstand will also receive automatic entrance to the 17th stand. All reserved grandstand seating for the 18th on Saturday and Sunday is now sold out. Information about the 17th hole grandstand at the 2013 Irish Open can be found on www.europeantour.com/tickets, where special advanced tickets offers for the tournament can also be located. An advance season ticket for all four days of The Irish Open can be bought for €70. Adult day tickets are priced at €30 pre-event, and €35 on the gate. Concessions are available at €50 for a season (€60 on the gate) and €20 for any one day (€25 on the gate). Under-16s accompanied by an adult are admitted free of charge and all car parking is also free. Here are the guys who I think will contend this week, I’ll try to run the rule over the most of the Irish in the field as well. It’s tough to consider Rory the favourite with his recent form although from what I have heard coming out of the practice rounds so far the course this year, with decent weather, will suit the bombers and McIlroy is right up there with all the biggest hitters in the game. Rors has not really contended much this year however and it will be interesting to see how his indifferent form may hold up to this down the stretch on Sunday. I think better value can be had with some of the other Irish players. 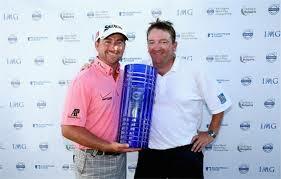 The Dane triumphed here when the Irish Open was last played at Carton and in very tough conditions too. He could well be coming in here as the BMW champ, only a double bogey late on in Germany derailing his hopes on the final day. Expect Thomas to be in with a chance here, he is playing well and obviously has previous course form too. Two superb rounds followed by one poor round and then one terrible round sum up Padraig’s week at the Travelers Championship in the States, I hope he has gotten over that and the jetlag to make a proper attempt at winning his 2nd Irish Open. Paddy finished 11th here back in 2006 and if he gets into contention there are few players around that fight as hard as he does. I don’t think this will be his week, Muirfield could well provide this in a few weeks time, but with the home crowd cheering him on it would not surprise me. He considers the Irish Open as the Fifth Major, and rightly so as an Irish golfer, so the motivation is always there for him and he’ll be trying his hardest to win again. 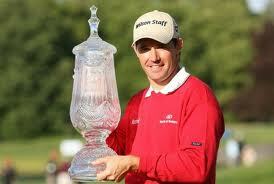 Ross finished tied 5th back in 2006 and his form has been better of late than in recent years. 25/1 is a bit shorter than I thought he would be however so he is more included here because of his previous course form rather than his overall form coming into the tournament. 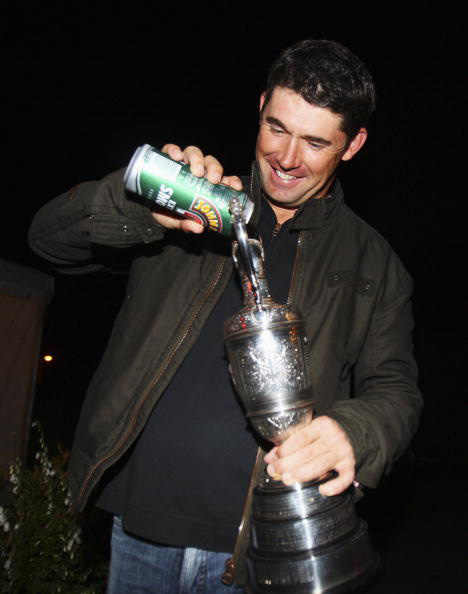 He does love the Irish Open though and it obviously has memories for him for certain reasons, being the 2010 Irish Open champion is of course one of these. One of Offaly’s favourite sons tees it up at Carton with a lot of expectation on his shoulders. He is their Touring Professional and lives on-site so he should know the course better than anybody in the field really. He is playing good golf, his win over friend Rory McIlroy in the Accenture Matchplay being one of the highlights I suppose where his amazing touch around the greens was evident. He will need this short game to be razor sharp once more with the tricky greens on the Monty course and, of course, with those bunkers! Has a big chance this week. A few for the maybe pile are PAUL CASEY (50/1 with sportingbet), PETER UIHLEIN (45s with Stan James) and ROMAIN WATTEL (70/1 with Stan James). Now for the rest of the Irish! I think in terms of a good performance, comfortably making it to the weekend and going from there could well be seen as the target for the likes of David Ryan, John Kelly, Damian Mooney, Brendan McGovern, Reeve Whitson, Gavin Moynihan, Donal Gleeson, Cian McNamara, Gareth Shaw and Kevin Phelan while Barrie Trainor (with Limerickman Andrew Kiely on the bag for the week! ), Seamus Power, Mark Murphy, David Higgins, Alan Dunbar, Simon Thornton, Michael Hoey, Gareth Maybin, Damien McGrane and Peter Lawrie may well have loftier goals. Mark Murphy was one of the last into the field and he has been coming on leaps and bounds since winning the Big Break Ireland a few years back. He made a fantastic eagle on his 36th hole at Portrush last year to make the cut so he is no stranger to coming up with the goods when it is least expected, I’m sure some cute Kerrymen may well have a few euro on at 80/1 ! The prospects this week of Ryder Cup Captain, Paul McGinley, and 2011 Open Champ, Darren Clarke, are uncertain as they are not playing as much as a few years back. McGinley, of course, has plenty on his mind with Ryder Cup duties along with his link to the Golf Development Project in Ghana as well. Clarke has really never found the same form that brought another Irish Major win at The Open Championship. 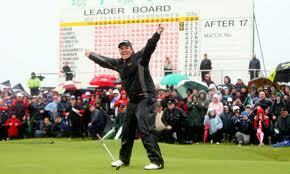 Apart from the leading Irish contenders like Rors, G Mac, Harrington and Lowry, it may prove surprising if the lads above contended at the top of the leaderboard – they are all fine players however and with the home support there may be something special to happen yet, we all remember 2009 at Baltray! Here’s to a wonderful week of golf at Carton House for the 2013 Irish Open, not sure what the weather will be like but let us hope it will be fitting for the biggest tournament in Irish golf and one that should be a flagship event on the European Tour calendar. There will be a few events going on during the week that are not to be missed, namely the ‘Open House @ 17’ Challenge. Anyone visiting the Tented Village at Carton House can register to compete in the challenge at the GUI National Academy stand. Spectators can then use the shuttle service provided by The European Tour to access the challenge which takes place at the GUI National Golf Academy adjacent to the championship course itself. The challenge involves a 170-yard tee shot to a green in the short game area of the Academy – replicating the testing challenge that the world’s top professionals will face during the Irish Open tournament itself. The six players closest to the flag each day will be invited to play the actual 17th hole in front of packed grandstands and galleries with prizes on offer for the winners including vouchers for the National Golf Academy and discounts on insurance from the GUI’s main sponsor AIG. Other initiatives include the ‘Irish Double’ ticket to enjoy the third round of the Irish Open and the Dubai Duty Free Irish Derby Day for a combined price of €50. 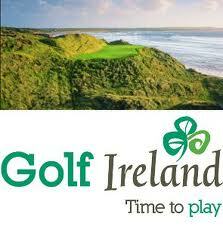 It will hopefully prove to be a fantastic week of golf in Ireland, I just wish I could make it! Another new tournament comes to Irish Golf in August with the staging of the Inaugural North West Open. It will take in some of the finest courses in the North and North West of the country with Slieve Russell, Lough Erne and both courses at Ballyliffin capping off a fantastic four days golf and I’m sure the craic will be mighty as well! The format will be fairly straightforward, it’s Pairs with Betterball scoring – 1 score to count on holes 1-17 and both scores to count on 18 for all four days. The first day’s play takes the teams to Slieve Russell in Cavan where they will also overnight at the lovely hotel. If you need a warm up before golf there is also a beautiful par-3 course on-site here. 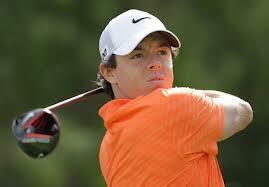 Follow in the footsteps of McIlroy, Faldo and Obama by taking on the Lough Erne course on the second day. One of the most picturesque courses in the country and receive rave reviews this will undoubtedly be a treat for the golfers. Similar to Day 1, there is accommodation on-site in the 5-star Golf Lodges. Fergal Purcell, hotel GM, and his staff will definitely take great care of ye and the view from the Clubhouse after golf is tough to better! 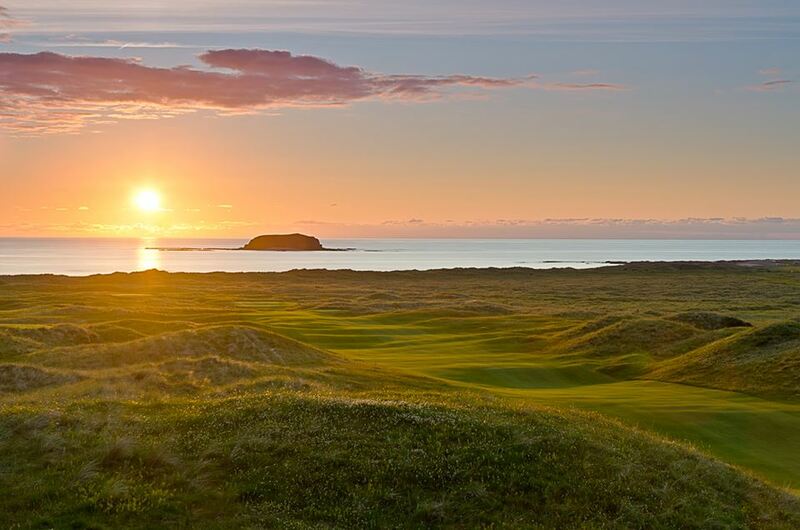 Beautiful Ballyliffin plays host to the competitors for the final 2 rounds of the tournament with the Old Course providing the test for the third round. Ballyliffin is truly one of the best links resorts in Ireland and both courses are favourites of mine, having played the course in some of the worst golfing weather ever that is saying something! Accommodation in Ballyliffin Hotel and a 3-course meal included in the tournament package are to be looked forward to after play on Day 3. 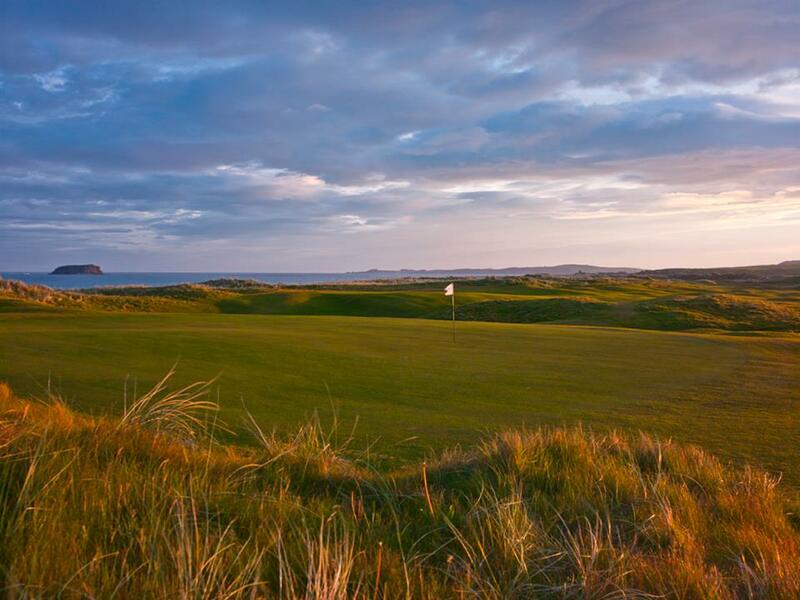 The final day’s play takes place on the Glashedy Links. The teams will enjoy another truly superb links course as they battle it out to become the Inaugural North West Open Champions! There will be a Prize-giving Ceremony after the day’s play with many prizes on offer including 2 x Powacaddy Trolleys, 2 x TaylorMade R1 Drivers, Druh Belts and Callaway Golf Bags. If you make it to bed after the nights festivities then accommodation will be at Ballyliffin Hotel once more! A fabulous four days of golf on some of Ireland’s best courses, a competitive atmosphere with one of your golfing buddies and four nights of great craic – what more can you ask for? As mentioned above, the dates for the tournament are Wednesday 28th – Saturday 31st August. The official charity for the event is Action Cancer (@actioncancer ) and the lads at the North West Open are hoping to raise some funding along with supporting and raising awareness for the wonderful charity. If you have any queries please email northwestopen@gmail.com or tweet the guys on @northwestopen . I wouldn’t wait too long though, they only have a few team places left! Justin’s Major future looks Rosey after US Open win! At marvellous Merion another thrilling US Open Championship came to a conclusion on Sunday 16th June with virtually the winning of the second Major of the year coming down to the last shots. No player was under par, nevermind that, all players were over par! 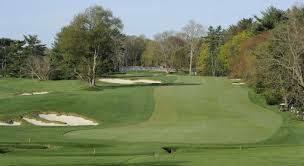 Merion was setup superbly and albeit a relatively short US Open layout in terms of previous venues, the course which has not hosted America’s premier golfing tournament since 1981 tested the World’s best golfers admirably. On the course from early on it looked like it could well by Phil’s week, putting to bed those previous 5 second place finishes with most of them being agonising runner up placings! He played conservatively and hit the driver very rarely, a tactic he promised his coach Butch Harmon that he would not waiver from. As the field jostled for position over the first two days it became apparent that Mickelson would be one of the leading contenders along with former World No.1, Luke Donald, his compatriot Justin Rose, Australian Jason Day (looking to emulate his fellow countryman David Graham), 2011 Masters Champ Charl Schwartzel, veteran Steve Stricker and relatively new to contending in the final rounds of a Major – Hunter Mahan and Billy Horschel. By the close of play on Saturday the above players were those considered the only players still in with a shout, players like Tiger, Rory, Sergio and Harrington well out of the contention at the close of play after 54 holes. The early holes for the leaders was quite something to see – Schwartzel was solid and looked the man to beat early on with birdies and a general calm. Phil narrowly missed birdies and 1 and 2 but posted a double bogey on 3. Luke Donald had a horror start and probably never recovered properly from hitting a standard bearer to the left of the green on 3. The third hole did cause problems all day – playing between a fairway wood and driver for most players in the field! Stricker had a shocker on 2, with a treble-bogey 8 including 2 shots out of bounds. Mahan started solidly with many pars while Horschel appeared as the golfer in the Octopus pants which got more attention than his poor start! Day and Rose did nothing to harm their chances early on, this start giving them the impetus to push on as the Final Round reached the pivotal moments. The start at Merion includes 2 par-5s in the first 4 holes but this does not mean you can ease into the round and pick up some easy birdies. The first hole should be at worst a par but with the pin position it meant the good miss was short which left a difficult uphill putt but this was better than a devilishly difficult chip or pitch downhill with little green to work with should you be long with your approach. The 3rd hole was not one of the more popular ones during the week and the final round did not do much to improve this either, 260 yards plus which wasn’t far short of the 10th hole, par-4! As the players got through the tough par-4s in the shape of 5 and 6 the leaderboard had taken the shape that it would pretty much continue in for the remainder of the round, it was more or less down to 4 men – Rose, Mickelson, Mahan and Day. Phil, who had not held a putt on much consequence on the front 9, continued this trend on the 10th but which a fantastic hole out from the rough for an eagle 2 to take the lead at that stage. More solid golf followed but an errant wedge shot cost him dearly on 13, carrying the green which resulted in a bogey for what was considered one of the last genuine birdie holes on the back 9. Another poor wedge approach resulted in a bogey on 14, lead back with Rose at this stage. Day was hanging in there but a few bogeys at the wrong time on probably the toughest closing stretch in Major Championship golf eventually meant he would finish at 3-over par for the tournament. Rose hit a superb tee shot to 17 to give him a chance of a chip-in birdie from just on the back right fringe but he left this stone dead rather than having a run at it, again pars being priceless over the last few holes. An immaculate tee shot on 18 left Rose in the middle of the fairway, some say he was beside the Hogan plaque (fittingly if so) and some a sprinker head, but his approach to 18 underlined his solid play all day and all week with an arrow-like long iron seeking out the pin and unlucky to run through to the back edge of the green. An expertly played greenside shot with a fairway wood gave him a tap in, unlucky not to post an Even Par total of 280 for the 4 rounds with what could have been a birdie at the last. Mahan had been hanging around the lead for a while but a terrible double bogey late on scuppered his chances, he wasn’t the only one struggling over the final holes at Merion though and the closing holes bared their teeth. 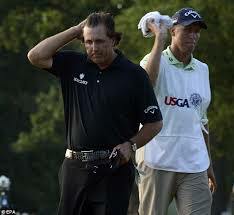 Phil was now the only golfer left to threaten Rose’s Major hopes coming up 18 after making par on 17 to stay 1 behind. A drive into the left rough looked to have ended Lefty’s opportunity to finally put claim to a first US Open triumph but with his second shot finishing up short of the green it still gave him the chance to pitch in – something that he has been known to do from time to time! Mickelson stalked the pitch for quite a while and eventually played a decent shot, aggressively punched towards the hole but as it raced past the right edge as did his chances and Rose became the first English golfer since 1970 to win the US Open and since 1996 to win a Major! 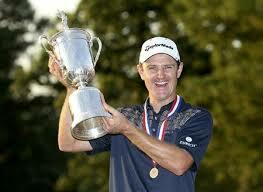 Everything was indeed Rosey in the garden for Justin at Merion on US Open Sunday!